Earwax removal at The Chalfont hearing centre. Chalfont hearing centre is a premier private family run business with Leon Cox at the helm. Hearing tests and hearing aids are to be found at Chalfont hearing centre alongside ear wax removal using Micro-suction or the traditional water irrigation technique (ear syringing). The very latest digital hearing aids by all the main manufacturers are available. Trail hearing aids are also available but please as Leon for a more comprehensive idea how this works in the Chalfont area. Book now for your ear wax removal or for a hearing test. GN Hearing announced that it has launched “the world’s first” hearing solutions that intuitively adapt to a hearing aid user’s personal preferences in any given sound environment. This breakthrough technology employs GN’s artificial intelligence (AI) solution in tandem with Apple’s Siri virtual assistant. The announcement was made at the Consumer Electronics Show (CES) 2019 in Las Vegas. The new offering is an added benefit to the company’s latest 2.4 GHz product portfolio from ReSound and Beltone, and it will be reaching users in February 2019. 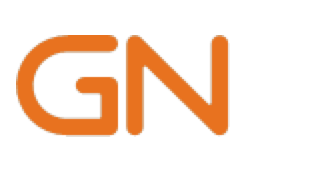 Through the use of AI, GN expects to deliver a continuous stream of new user benefits through future software releases. This will enable users to always be at the forefront of innovation by updating existing GN Hearing instruments with new features. When GN was established 150 years ago, the company introduced the world’s first telegraph line from Europe to Asia, creating the Internet of its time. It is this same pioneering spirit that is being applied today to transform lives, helping people hear more, do more, and be more than they ever thought possible. Where do I have my hearing test? We prefer to conduct our tests and fitting from our practice in Little Chalfont. This ensures greater accuracy of hearing aid performance. We can also do home visits for patients who are unable to travel. On a more limited scale we may also have availability at one of our high street Hearing Assessment Satellite Clinics. Who carries out my hearing test? At the Chalfont Hearing Centre you will only be tested by the highest qualified Audiologists. Our Audiologists are qualified to MSc level and are registered with the Health Care Professions Council HCPC. On the High Street the level of competence and qualification varies massively. Make sure you choose the most qualified option as the hearing aid programming is extremely important, more important than the test itself. How do I book a hearing test? To book hearing test with Chalfont Hearing Centre call 01494 765144 or Email chalfonthearingcentre@live.co.uk, to book in with one of our friendly and experienced Audiologists. Leon is a young dynamic Audiologist who specialises in Hearing aids, Tinnitus and Adult Rehabilitation.